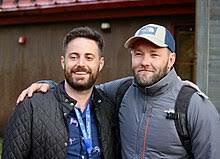 Joel Edgerton wrote, directed, and stars in Boy Erased, based on Garrard Conley’s memoir/expose about his time in a brutally abusive Christian “gay conversion” program. In the film, at the Love In Action gay conversion therapy program, Jared (Lucas Hedges) is told by the lead therapist (Joel Edgerton) that his sexuality is a choice influenced by poor parenting. He’s instructed to perform harsh “moral inventories” of himself and his family. He soon realizes that the therapy has no set end point and he may have to stay indefinitely if he can’t convince the therapist that he’s become straight. When the compelling drama was screened at Middleburg Film Festival, Edgerton and Conley spoke about what the film means to them. Nell Minow: Is it different today for teenagers who are not as isolated as the boy in the movie or as you were because there are so many more positive portrayals of LGBQT individuals and characters in the media and so much information available on the Internet? Is it harder to “erase” someone? Garrard Conley: No it’s not, unfortunately. Yes, we hope the media is reaching us while we’re doing what we’re doing and talking to you but false information is easily spread and communities can still control the way in which we perceive the outside world. 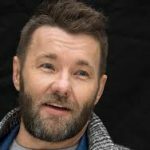 Joel Edgerton: And the general outcry of the term “fake news” as well means that whatever you read on the Internet can easily be boxed up and dismissed. Nell Minow: Tell me how you chose the look of your character, Joel. What does it tell us about who he was? Joel Edgerton: I say this with all respect but it’s a combination of the way my dad looked when I was growing up and [“Simpsons” character] Ed Flanders. It’s more about the internal life that fascinated me when I met the real John Smid [who inspired the character]. Reading about Garrard’s description of him in the book, we had shy away from the easy road of painting him as some kind of this out and out monster but somebody who truly deep down even though he was denying certain aspects of himself thought he was there to help. That to me is more terrifying, the conviction and the belief that there is a possibility of converting somebody not just because it’s a hard thing to navigate and to sidestep somebody who has that conviction but it’s also a very damaging idea to put into the head of somebody naive enough to believe it and to hope that that is the road back to living in their own community if they’ve been threatened with being ostracized. Nell Minow: Is being ostracized by your community more significant than violating to some concept of biblical mandate? Joel Edgerton: Well I think they go hand-in-hand. I think you believe what you’re handed by your parents. In the film the boy’s father, played by Russell Crowe, says, “I put my faith in wiser men.” That’s what we do as children. We put our faith in our parents. They are wiser men and wiser women. I think it’s interesting that as we get older all we do is we look older but it doesn’t necessarily mean that we’ve suddenly at some point been handed the answers of the universe. As children we assume and presume that our parents hold all the answers, that their beliefs are right and that their righteousness is just fact and we see them as our guides in life. In all honesty, I fully respect and admire his online apology but John Smid is also partially blame-shifting to Exodus International and Alan Chambers. But I also have empathy for people who and like Russell’s character and as John Smid as I play him in the film, it’s very hard to acknowledge and live day to day with the fact that you’ve caused damage so some part of you has to reinvent your experience or your past and I have empathy for that. But true contrition is something really grand and I hope that both characters or both real people can find that space to go all the way. Nell Minow: It’s amazing how much freedom you get by doing that. Garrard Conley: It’s so prevalent that we’re blame shifting in our culture, like it’s non-stop just like everything on Twitter for example. 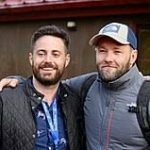 Joel Edgerton: And as Garrard’s mother stands for and what impressed me enough to spend a whole year and a half of my life making the film, when love is your weapon, when love is the thing that you pick to stand by, to live by, to move forward with, there’s such a freedom in that because you have nothing left to answer for. Nell Minow: And it calls for you to identify with victims because victims can be heroes, I think one of the tricky things with this is in order to tell a fair story and let the audience step back and be objective. 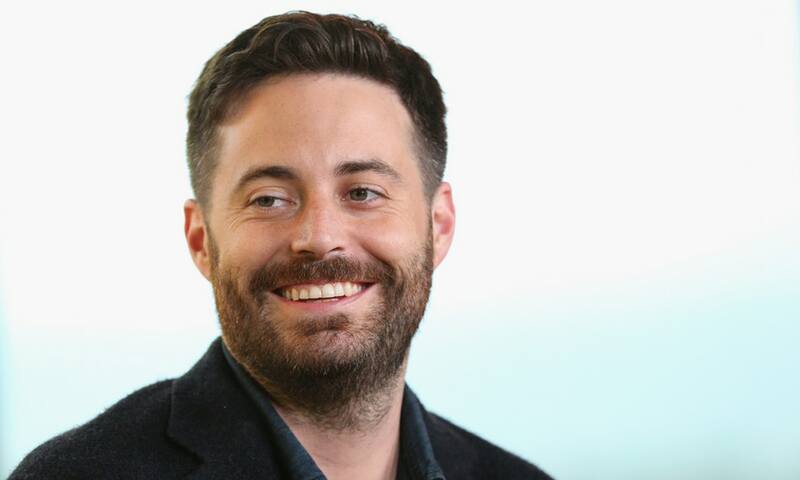 Garrard Conley: All you have to do is just show what they did and people will make up their mind about it. Nell Minow: There are also very touching moments, which I’m certain must be true to your experience. I loved it when the Jared character, who was based on you, joked about all the typos in the facility’s handouts. That’s an incredibly resilient thing and that’s also an indication that he is a future journalist. 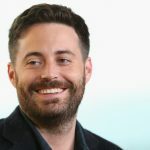 Garrard Conley: I loved that moment. He’s actually being systematically stripped of his personality and his books are being taken away but to give those little notes in there about what his future might be, I think that was really cool. Joel Edgerton: I just thought it’s amazing just how powerless people find power in the smallest things and I just thought it also on a story level narratively be kind of thread that the mother could go, “Okay, there’s a crack in this.” As we all know, as Leonard Cohen said – I’m paraphrasing — it’s the cracks that let the light come in in that dark world. Just even finding some sense of humor is where those cracks are. Garrard Conley: The way I stayed sane was to believe, to really believe, that words mean something and the definitions are real. A word like “love” has a real meaning; a word like “truth” has a real meaning and the words like “freedom” or “liberation” have real meanings even though we live in an era in which those words are being twisted in 1984 fashion by our administration. If I did not believe that those things were real, there would be no point in anything. Joel Edgerton: I just love the word “agency.” Garrard very quickly found an agency to question and resist. Be careful what you do to young people whether it’s physical abuse, sexual abuse or any kind of psychological abuse because it shows a lack of intelligence on behalf of the abuser or the older person to think that that person isn’t going to grow up to be able to shout “Abuse!” or in his case there’s a guy in here, he’s going to grow up and he’s going to write a book about you all so then who is the fool? Nell Minow: It is so moving that it is the abuse of others that gives him agency, more than the abuse he endures. Garrard Conley: And this is something that I have come to understand after my experiences: sometimes you’re placed in situations to be a witness. I can look at it and it really feels kind of beautiful in a weird way. I was able to see this pain, to experience this pain and record it so that other people don’t go through it. I will never stop believing that being a witness is inherently valuable that no matter where that goes being able to record it with sanity and to look at the world directly and honestly. 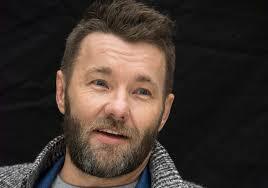 Joel Edgerton: It puts you in this incredible dilemma of duty of care as well. I know that you went through it, that you in many ways are one of the lucky ones because you had at least a responsible parent willing to help you get away from the experience and you had the intelligence to put all the right information in your basket to get away. But it is a responsibility when you witness something because you can walk away, you can remain silent or you can choose to do something about it and there’s a real choice involved in that. To tell the story is very brave, very compassionate, and very admirable.